A series of airstrikes helped wrest control of the largest oil refinery in Iraq back to Iraqis. Joint efforts on April 12 from the US and Iraq pushed ISIS out of the Baiji refinery, which the terrorist group claimed they'd held partial control over. 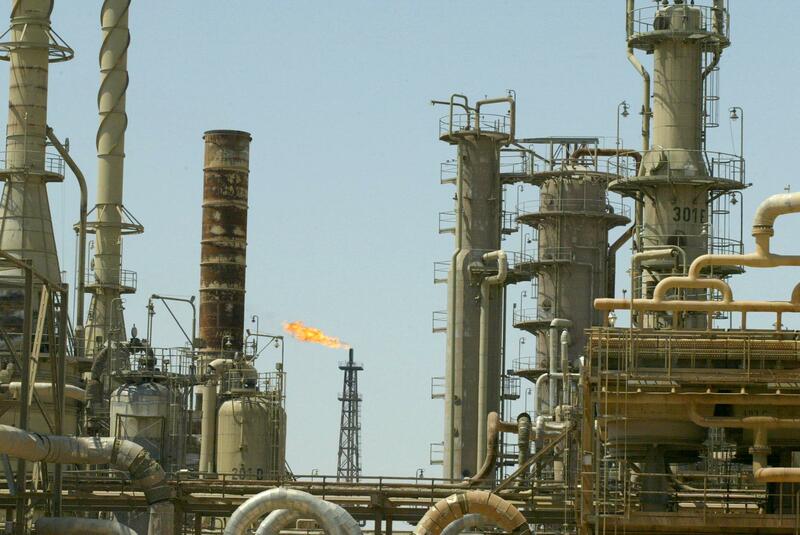 This isn't the first time that ISIS has tried to take over the Baiji refinery. Subsequent attempts last June had the Islamic State in control of the refinery from summer until fall, when Iraqis reclaimed Baiji in November. According to the Combined Joint Task Force, 47 airstrikes were launched over the past nine days, 20 of which occurred on Friday alone, totaling at least 35 ISIS fatalities. Iraqi soldiers on the ground killed an additional 50 more ISIS members. Initially, ISIS infiltrated the Baiji refinery by barging through a security perimeter. The group then posted photos of buildings and storage tanks they said they'd began controlling in the refinery. Although Iraq has full control of the refinery, there might still be ISIS members hidden within the complex itself. Once the Iraqis have full control of Baiji, they will control all of their oil infrastructure, both north and south, and deny ISIL the ability to generate revenue through oil. The Baiji refinery produces the majority of domestic oil to the country, with an average of 175,000 barrels produced per day. Iraq is expected to continue to increase its oil production, with Iraqi Oil Minister Adil Abdul-Mahdi stating that the country hopes to increase their daily production from the current number of 4 million barrels a day to 7 million barrels a day by 2020. Airstrikes weren't just isolated to the Baiji refinery and the area around it, however. The Combined Joint Task Force says that two areas in Syria — Kobani and Al Hasakah — received seven air strikes while at least six additional areas in Iraq saw 13 airstrikes, including in Ramadi, the capital city of the western Anbar province where ISIS still has a stronghold. As many as 90,000 refugees have fled following ongoing, heightened violence. The Baiji refinery is located a little over 133 miles away from Ramadi.